Why do all good things come to an end? 2017 was a great year. In the spring, we celebrated another Red Dot Design Award, and we had new people joining our Design Team. Summer went by with great memories and working on our in-house UX Lab. At the end of the year, we started some new projects and start making use of new competencies within our multidisciplinary Team. This happy picture was taken of us during our Christmas dinner. Quiz question: how many cocktails and nationalities can you count on the picture? 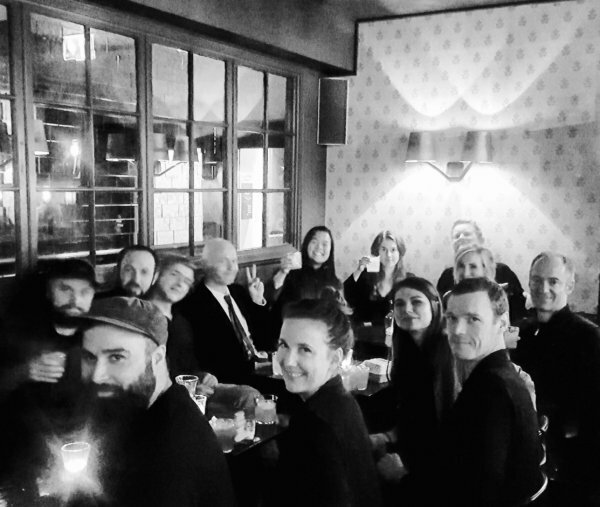 The answer is that at Eskild Hansen Design, we currently have designers and awesome colleagues from 8 different nationalities. Cheers to that, and many more to come!